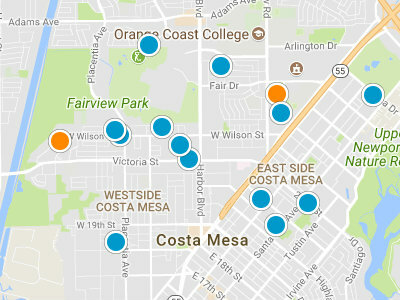 Mesa Bluffs South is located in the Southwest—Westside area of Costa Mesa. The Southwest – Westside area of Costa Mesa is one of five unique sections of Costa Mesa. This section has 43 individual neighborhoods. Mesa Bluffs South is a terrific family oriented single family home neighborhood. Like many Southwest—Westside communities, Mesa Bluffs South is made up of mostly single level homes. Many of these homes have been remodeled and updated in recent years. Due to the high bluff setting of the Mesa Bluff South neighborhood, views include the Pacific Ocean, whitewater and breathtaking sunsets. 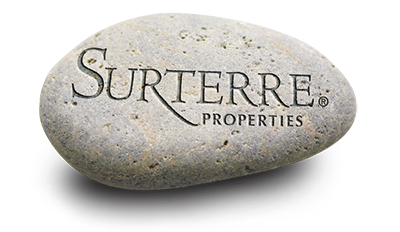 Close to local parks and schools, this community is a great place to raise children. Both the Talbert Regional Nature Preserve and Canyon Park are close by. Canyon Park is a small secluded park; residents love to take advantage of. The Talbert Regional Nature Preserve is large 180 acre park, with many outdoor recreational activities for visitors. Residents are close to both the 55 Freeway and Newport Boulevard. Residents have shopping and dining options available throughout the Southwest Westside section, including the Triangle Square Shopping Mall.